The Griddle Pickers are a bluegrass and old-time band based in Central Ontario. 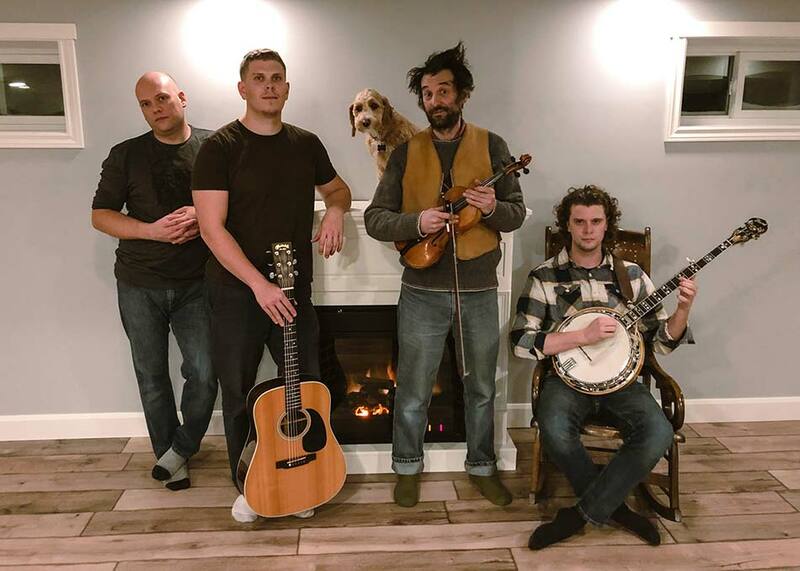 The group features the driving banjo and fiddle melodies of Sean Patrick and Jay Edmunds, the precision flat picked guitar work of Dale Patrick, and the solid double bass foundation of Derek Fraser. Their music centers around tight four-part vocal harmony and an exciting repertoire of original and traditional material. The band has it roots with the Patrick Brothers, who were imparted a great love and appreciation for bluegrass music by their grandparents. While being steeped in the area's rich musical traditions, the four members draw on a wide range of influences from jazz and blues to progressive metal which inform and enrich their playing. They’ve entertained audiences at the world famous Mariposa Folk Festival, the Quinte Isle Bluegrass Festival, Midland’s ultra exclusive Pickin’ In The Pines and many more. The band's energizing live performances are not to be missed.